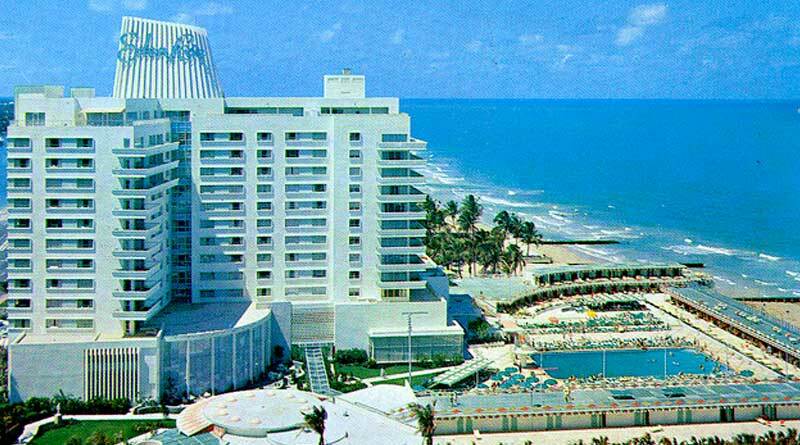 Interval International, a prominent worldwide provider of vacation services, will host the International Shared Ownership Investment Conference at the Eden Roc Miami Beach Resort & Spa from October 24 – 26. In its 18th year, the highly anticipated event is recognized as a leading resource for new entrants to learn more about the dynamic shared ownership business. Senior executives will discuss the most asked-about issues, such as what motivates timeshare buyers, what lenders are looking for, and how to optimize the profits of an asset. These are just some of the areas that will be addressed by thought leaders as they share their expertise on resort financing, sales, marketing, and operations, among other topics. “Interval and its supporting sponsors are proud to provide such a comprehensive program for attendees evaluating a potential investment in the industry and an equally valuable forum for current participants,” said David C. Gilbert, president of Interval International. Guest presenter Scott Stratten, an expert in viral, social, and authentic marketing, who has been named one of the top five social media influencers in the world by Forbes. The sought-after speaker, known for his unique “Un-Marketing” philosophy, has been featured in The Wall Street Journal, Huffington Post, Entrepreneur Magazine, and on CNN.com. Adriana Grineberg, regional director for Facebook in Latin America and one of the company’s first employees in the region, will share how she has assisted global corporations such as Procter & Gamble, Unilever, Coca-Cola, and Netflix leverage media and technology to reach their key consumers. Two Latin America-focused sessions will cover the realities of doing business and the impact of timeshare in the region with first-hand knowledge from local marketers and developers. On the last day of the conference, “The View From the C-Suite” will feature industry leaders discussing their personal insights on a rapidly changing industry. Back by popular demand, the Shared Ownership Boot Camp, will provide new entrants with overviews of the legal, sales, marketing and financing aspects of the business. Financial Performance 2016: A Survey of Timeshare and Vacation Ownership Companies. They will also receive The Shared Ownership Resort Real Estate Industry in North America: 2016. Joining Interval as patron sponsors are Allianz, BakerHostetler, Capital One, Equiant, Fidelity National Timeshare, First American Title Insurance Company, Harbor Linen, and JMBM Global Hospitality Group. To register for the conference, click here, call 877.700.1153 (toll free) or 305.668.3495, or email information@sharedownershipinvestment.com. Produced by Interval International, the Shared Ownership Investment conferences and seminars provide a forum to educate attendees about trends and opportunities and explore the various shared ownership business models. Since 1998, these events have been providing attendees in Asia, Africa, the Caribbean, Europe, Middle East, and North and South America with valuable industry knowledge on topics from financing, marketing and development to conversions, mixed-use resorts, and government regulations. For more information, visit www.sharedownershipinvestment.com. Interval International operates membership programs for vacationers and provides value-added services to its developer clients worldwide. Based in Miami, Florida, the company has been a pioneer and innovator in serving the vacation ownership market since 1976. Today, Interval’s exchange network comprises approximately 3,000 resorts in more than 80 nations. Through offices in 15 countries, Interval offers high-quality products and benefits to resort clients and about 2 million families who are enrolled in various membership programs. Interval is an operating business of Interval Leisure Group, Inc. (Nasdaq: IILG), a leading global provider of professionally delivered vacation experiences.